We had a chance to chat with Donald J. Mosher, Partner at Schulte Roth & Zabel LLP, before the 7th Annual Prepaid Expo, taking place this year in Las Vegas, Nevada, on March 12-13, 2012. He is our featured expert on the topic of Mergers, Acquisition and Investments. 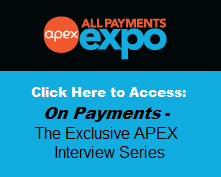 Prepaid Expo attendees this year will have the opportunity to schedule one-on-one meetings with Donald and other experts from an array of Prepaid specialties. 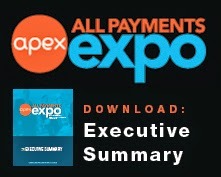 Increased compliance costs, identity security and mobile payments driving M&A activity in the payments industry in 2012 as larger payment companies work to keep up with their peers and the latest technology and product offerings, and smaller companies face disproportionate demands on personnel and cash resources to continue growth in an increasingly heavily regulated space. More competition between financial buyers, who are unable to offer their historically generous multiples, and strategic buyers, who can support a higher purchase price because they can generate extra income by integrating targets into their core and complimentary businesses. 1. What kind of regulatory shape is the target in? 2. Will we need federal or state regulatory approvals to close? 3.When can we expect to close, and are there any steps we can take now to close sooner. Not getting legal involved early enough. Understanding whether and at what level an investment in a particular company may trigger regulatory filings, and by who, is important to consider early on to explore structuring alternatives that may reduce or expedite the regulatory process. Donald J. Mosher, a partner in the New York office and head of the Bank Regulatory Group, focuses his practice on the regulation of banks, thrifts and licensed financial services providers, and specifically the regulation, acquisition and sale of payments companies and money transmitters, and the laws and practices applicable to electronic, paper- and card-based payment products and systems. Don has represented leading banks, payment companies, money transmitters and private equity firms in transactional and regulatory matters associated with payments, prepaid cards and money transmission, including the negotiation of payments products and processing agreements. Don recently served as regulatory counsel to The Western Union Company in its $370 million acquisition of Canadian B-to-B international payments solutions provider Custom House Ltd.
You can schedule a meeting with Donald J. Mosher at Prepaid Expo here, if you need help with regulatory or contractual concerns related to developing, buying, selling or maintaining a payment, prepaid card or money transmission company or product.